Working with clay is a down-to-earth counterbalance to our sped-up, technology-centered world. Join us in our ceramics room 2A and experience the magic! Come experience the rewarding process of working with clay and creating unique pieces! Beginner students will learn the fundamentals like handbuilding techniques of pinch, coil, and slab. Advanced students explore more complex forms, both functional and sculptural. Applied textures, colored slips, and glazing applications will be demonstrated as well. Materials fee for 25 lbs clay, glaze and firing payable to instructor: $35. 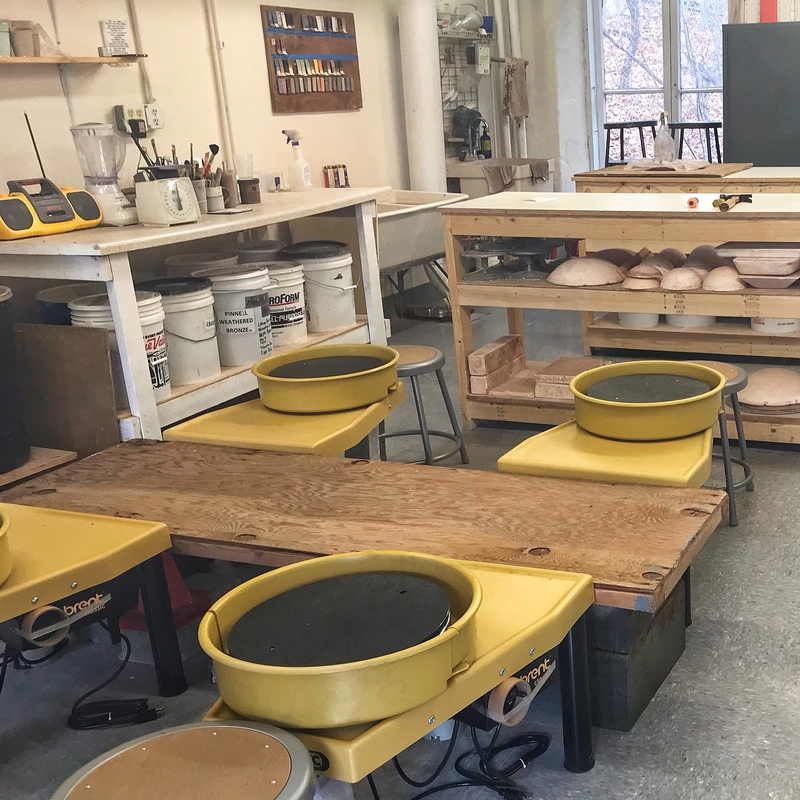 Tuition includes the use of the ceramic room during open studio hours as long as a student is enrolled in a clay class. LIMITED TO 4 STUDENTS! Learn a variety of wheel throwing techniques to make both functional and decorative pieces. 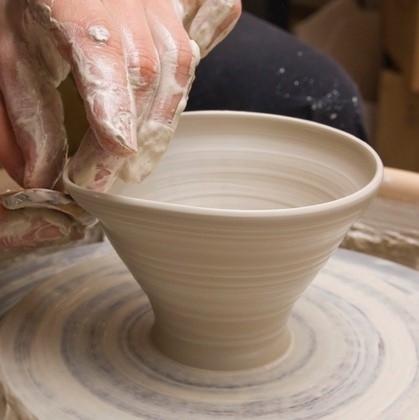 Beginner students will learn the fundamentals of throwing and working with clay on the wheel. More experienced students will be challenged with learning to throw more complex forms and vessels. Decorating, altering, and finishing techniques will also be taught. Looking for something new and fun to do on a Friday night? 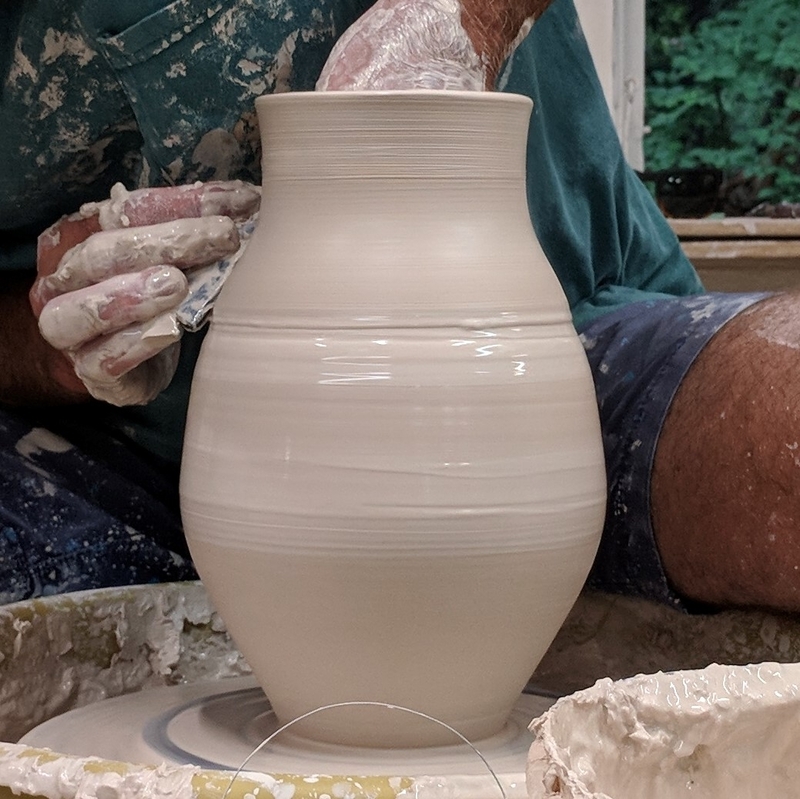 Couples, singles, and friends are welcome to join us in the ceramics studio for an evening of fun, creativity, and learning basic handbuilding techniques. Our skilled instructor, Pedro Centeno, will guide you through the steps of making your own unique piece. Bring a bottle of wine, some snacks, and get creative! During this workshop, Kiara will demonstrate glazing techniques she has developed to decorate her work using masking tape, brush work, and wax resist mainly. Students will be working with the glazes Kiara uses for her work. Please bring one bisque fired piece with a smooth surface, no texture, masking tape (different widths), wax resist and brushes, sponge, pencil, scissors. Become a Member of the FVAC Clay Coop! Pedro Centeno is FVAC's ceramics studio manager and instructor. He is also an FVAC studio artist and out of his "Junkpot" studio he creates functional ceramics pieces such as, teapots, mugs, plates and jars using wheel throwing, hand building, and mould making techniques. His love of old building material, wood, rebar, and rusty metal, influences each piece. Through multiple glaze applications and firings, the desired weathered appearance is achieved and intriguing illusions of materials are formed. Check out his website here.